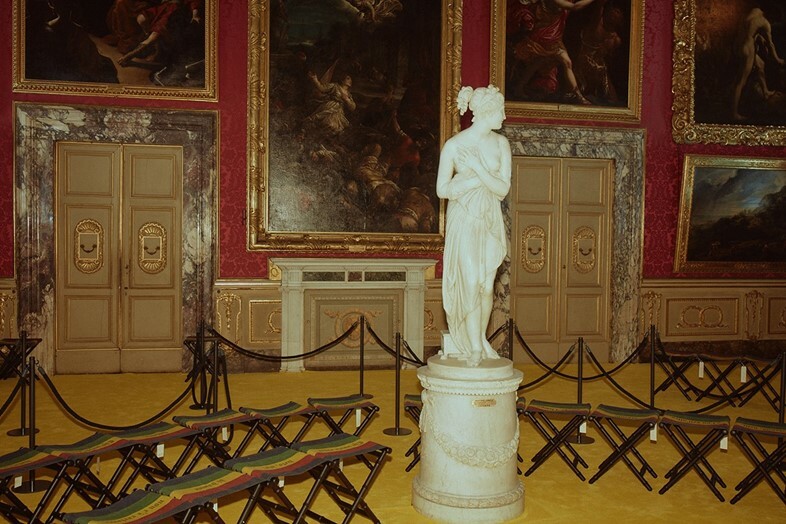 Where else would Alessandro Michele choose to show his Cruise 2018 collection but in an opulent Florentine palace? 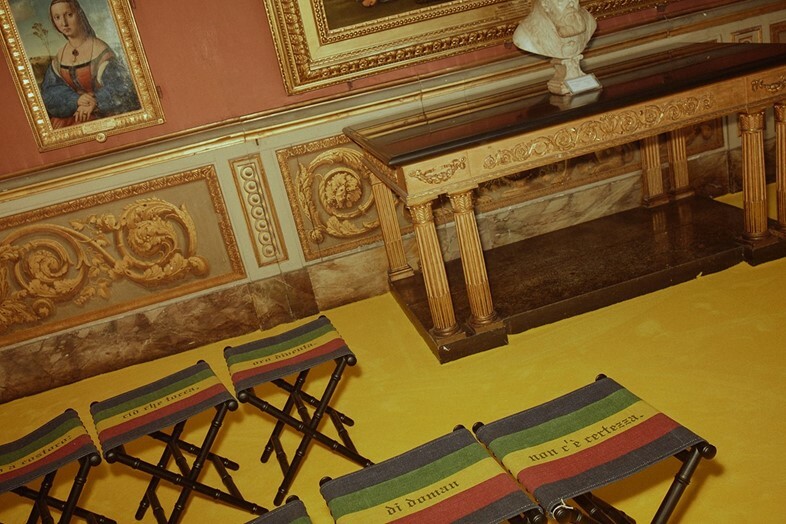 Given that the house of Gucci was founded in Florence in 1921, it seems only natural that it should return to the birthplace of the Renaissance as it nears its 100th birthday. Under the invigorating leadership of Alessandro Michele, the brand has itself undergone something of a renaissance over the past two years, with Michele’s eclectic Italian eye for glamour creating controversial clashes and riveting particularities that immediately captured the fashion world’s imagination. 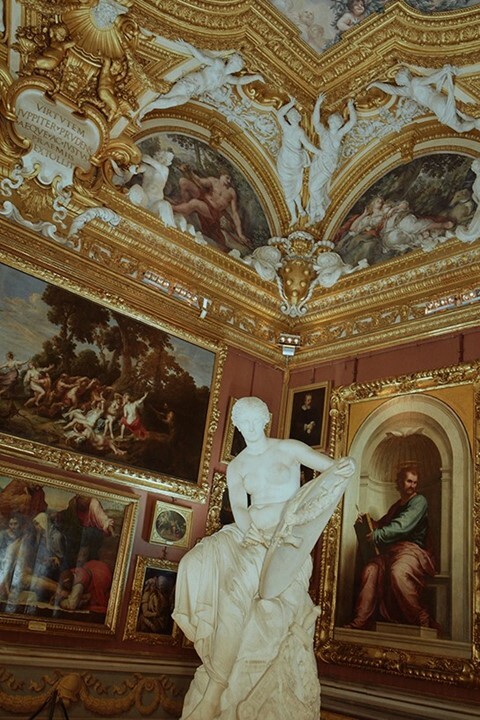 Michele reportedly hoped that the Cruise collection be shown in Athens’ Parthenon – but watching models stride through the gilded apartments of the Medici under the frescoed ceilings that inspired Versailles, it’s hard to believe that this final venue came in at second place. 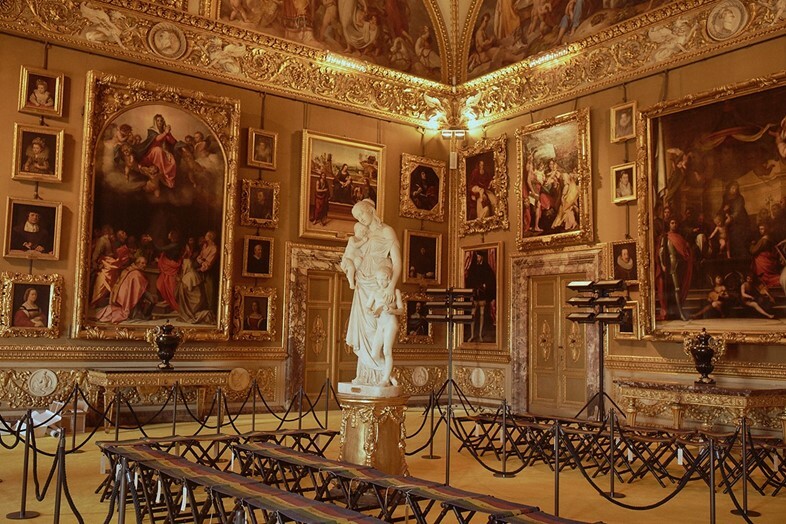 In retrospect it could have only been Palazzo Pitti, the extravagant Florentine palace that was briefly the main royal palace of united Italy, once used as a power base by Napoleon. 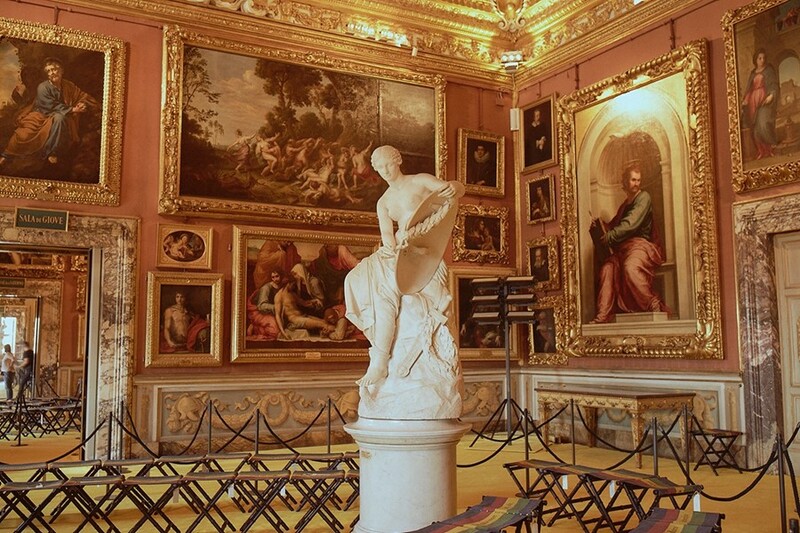 Famed for its luscious interiors and enormous Boboli Gardens, it provided the perfect setting for Michele’s decadent dream. 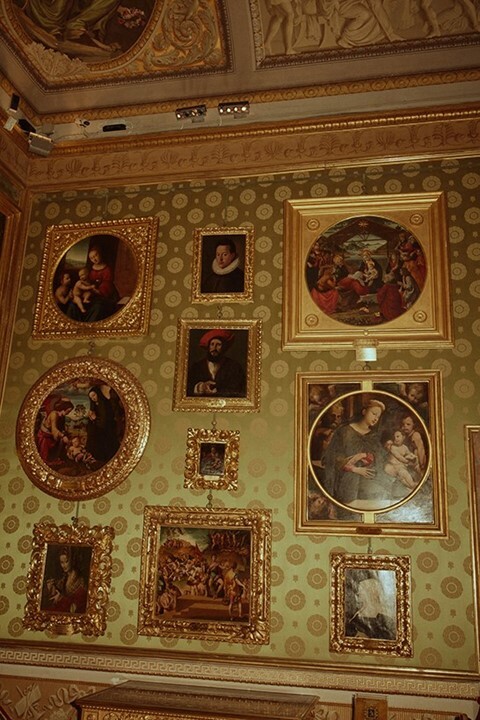 The palazzo was originally designed by Filippo Brunelleschi and built for the Pitti family in 1457, and it remains one of Florence’s largest and most elaborate architectural monuments – not to mention the biggest museum complex in the city, with the main palazzo alone covering 32,000 square metres. 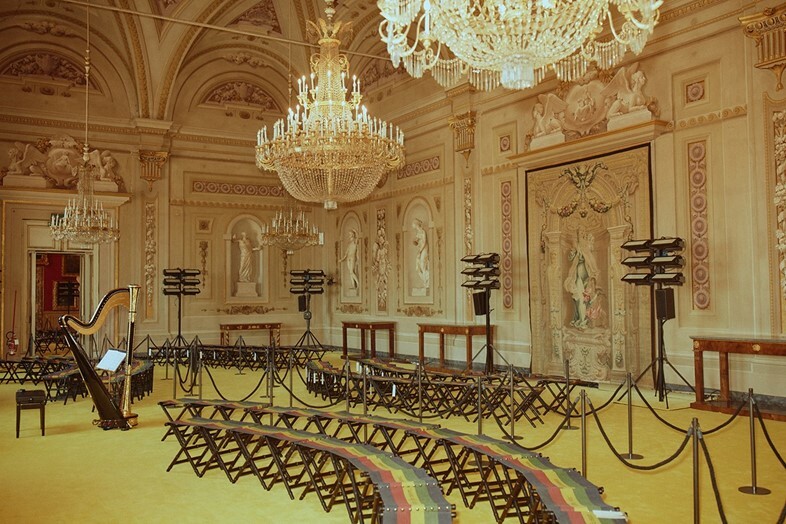 In 1549 it was sold to the Medicis and became the grand ducal family’s main residence, and was decorated as such. 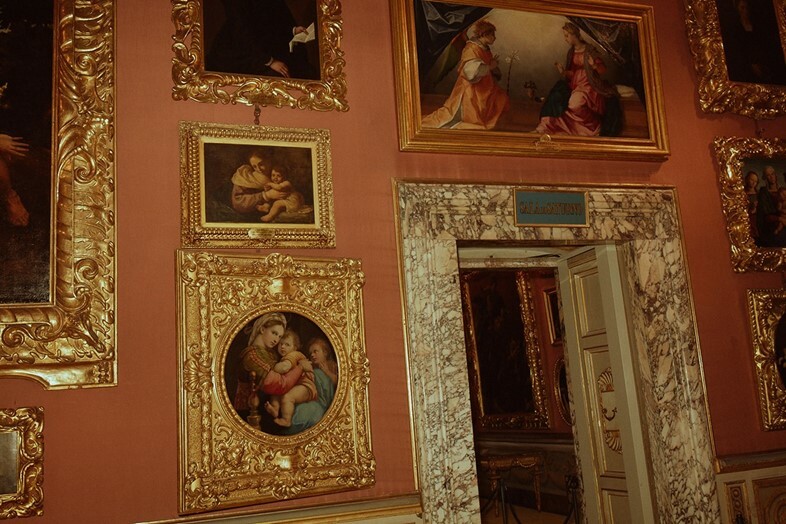 Enlarged and altered under their ownership, it now houses over 500 Renaissance paintings from their private collection, the walls crowded haphazardly with practically every master of the Renaissance and Baroque you can name, from Raphael and Titian to Correggio and Rubens. What other venue could provide a secret Vasari corridor across the Ponte Vecchio (Florence’s oldest bridge, fittingly famed for its gold traders), meaning guests could be treated to private views of Botticellis and Piero della Francescas in the Uffizi gallery before walking across water to the heart of the palazzo, all free from the prying eyes of the public? Michele’s new collection, in all its opulence, probably appeared pared back after such an afternoon, as it paraded past the walls of ornate gold-framed masterpieces. 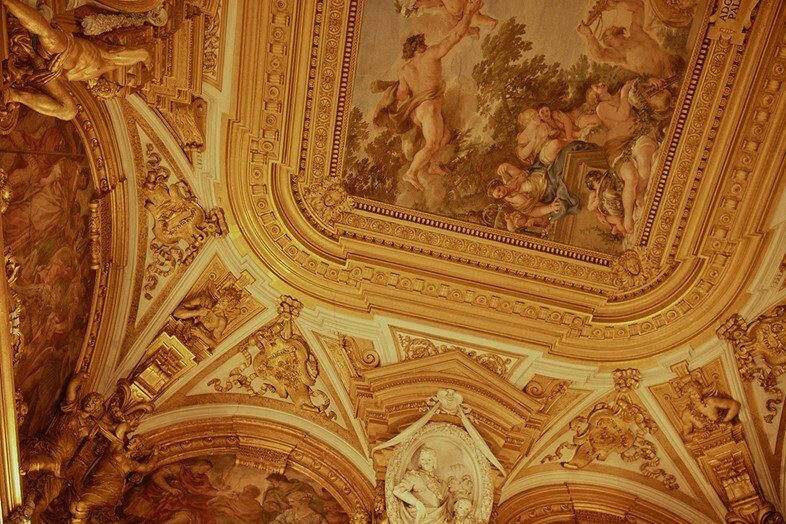 Models walked under the vaulted ceilings crowded with luxuriating gods in the Planetary Rooms; Venus, Apollo, Mars, Jupiter and Saturn watching on from their clouded cherub-adorned thrones. 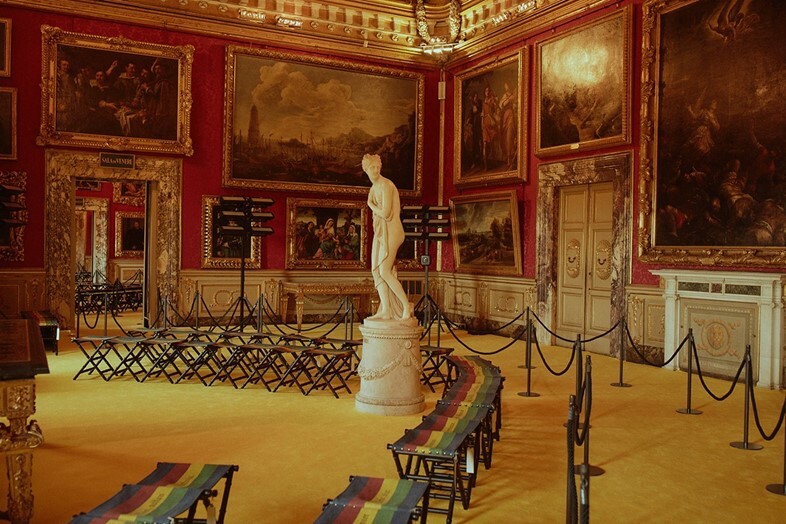 A past resident of the palazzo and one of the Renaissance’s most famous patrons, Lorenzo de’ Medici was another key source of inspiration for the collection; the rainbow-striped chairs occupied by the audience were embroidered with his A Song to Bacchus, an ode to excess which chimed well with the playful and extravagant joy of Michele’s aesthetic: “How beautiful our Youth is/That’s always flying by us/Who’d be happy let him be so:/Nothing’s sure about tomorrow.” Michele certainly managed to give the Medicis a run for their money. 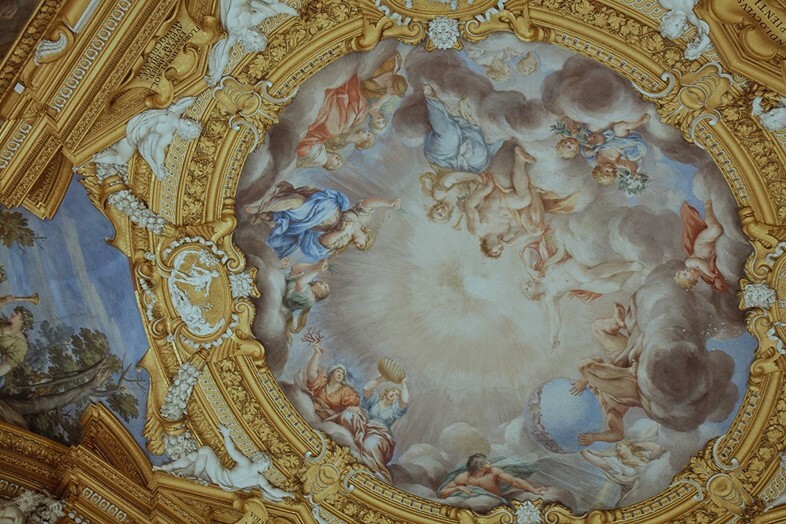 And in their very own Palazzo, too.